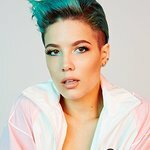 The Endometriosis Foundation of America will honour Halsey at its 9th annual Blossom Ball next week. The glamorous Cipriani 42nd Street will be in full bloom for the black-tie affair. Honorable guests from the medical, research, charity and entertainment worlds will mix and mingle as the Foundation recognizes their two honorees, singer Halsey and endometriosis activist and researcher Lone Hummelshøj. The Blossom Ball will be informative, educational and fun — a cocktail hour will be followed by a multi-course sit-down dinner with a lively afterparty to follow. The Honorary Committee includes Lena Dunham, Dr. Mehmet Oz, and Padma Lakshmi. Halsey has been incredibly open about her own battle with endometriosis, paving the way for so many women to understand their own experience with this chronic pain. Her inspiring message following surgery was a bright light for us all: “If you suffer from chronic pain or a debilitating disease please know that I have found time to live a crazy, wild, rewarding life AND balance my treatment and I hope so much in my heart that you can too”.